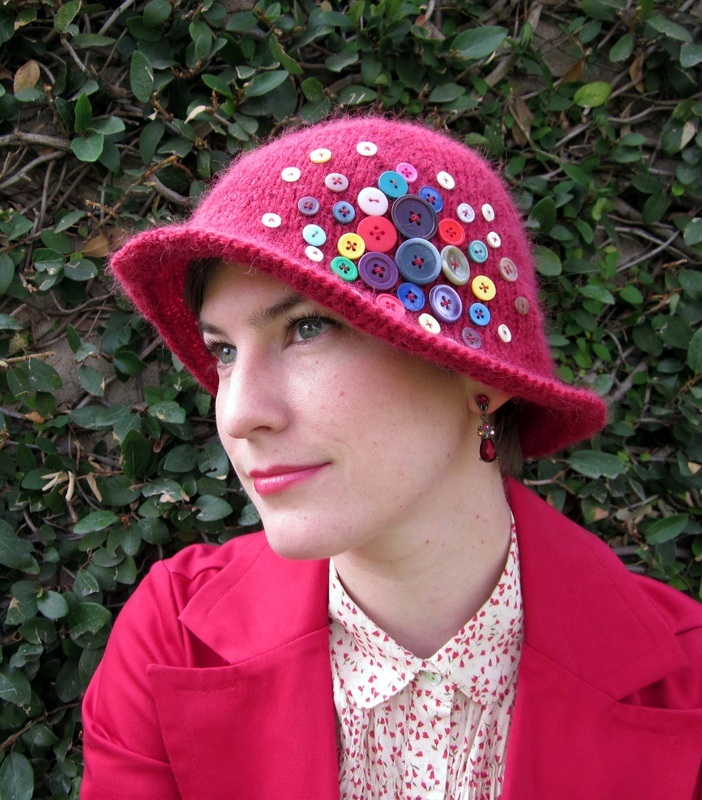 Button Box Cloche is a vintage style embellished hat worked in two versions. 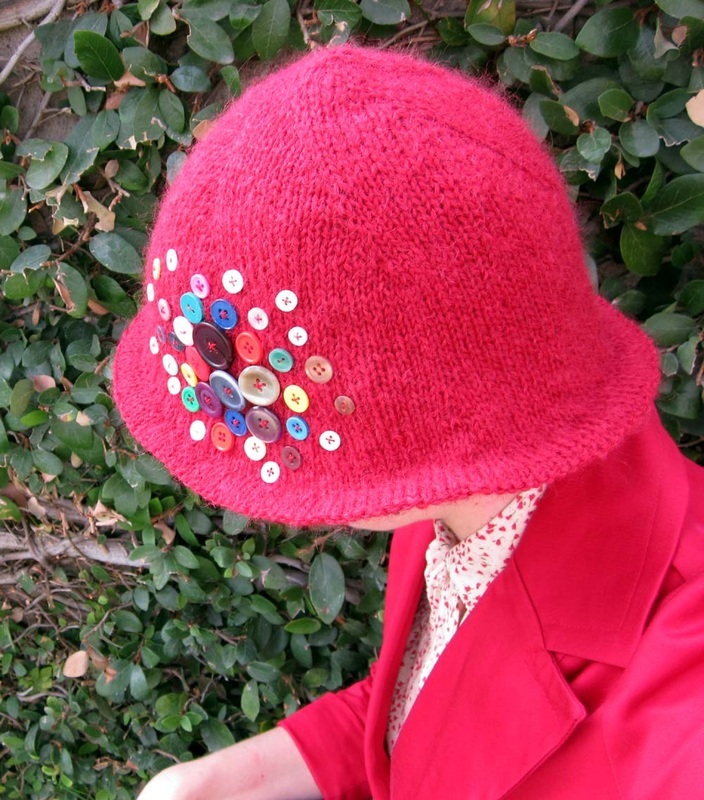 The Red Version has a long and wide brim that flips outwards and is embellished with a colorful mix of buttons. 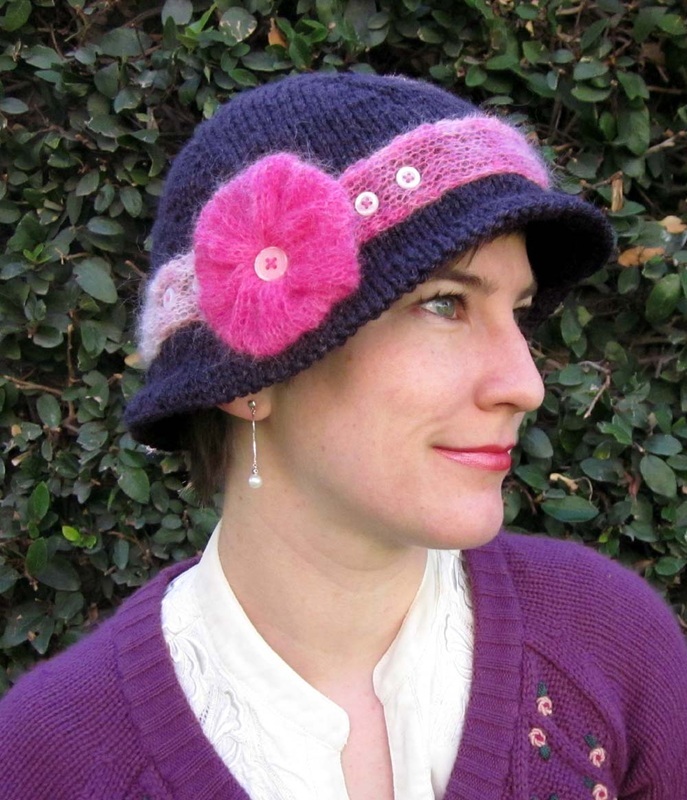 The Purple Version has a short flared brim and is embellished with a mohair flower, hatband, and a few buttons. Worked in the round from the top down, these hats can be tried on as they are knit to adjust the length if necessary. Model is shown wearing size Adult S/M. 18 sts and 28 rounds over 4” in Stockinette Stich worked in the round using US 6/4mm ndls.